Engine off but still warm. Displays resistance in ohms for test & verification purpose. Convert to temperature & pressure in future. 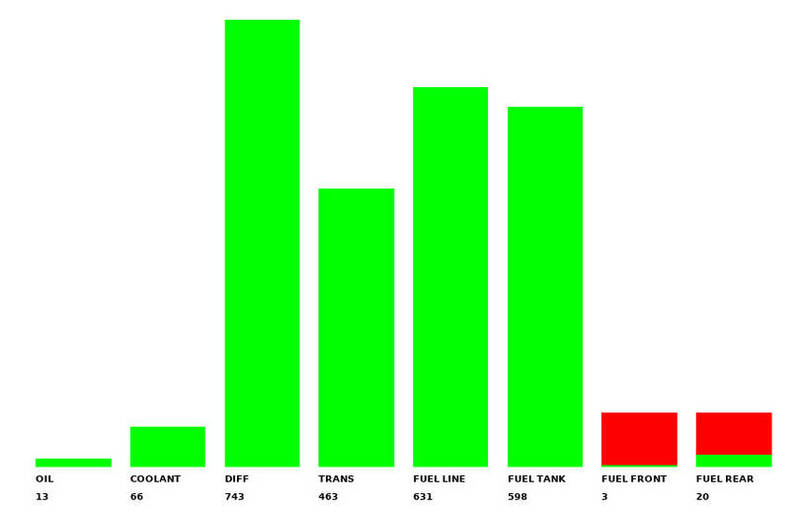 Red indicates empty portion of fuel tanks. Screenshot taken from laptop connected to Arduino board.